In the one year that Indonesian President Joko Widodo has been in office, human rights violations in West Papua have increased and even the National Human Rights Commission has stated that in this year more than 700 West Papuans have been persecuted through being arrested, beaten, and tortured. As recently as 1st December, 8 West Papuans were shot and 4 more killed by the Indonesian military and police in Yapen. The Chairman of the Human Rights Commission, Natalius Pigai says Indonesian President Joko Widodo has not been able to address human rights violations that occurred in West Papua during the years of his leadership. 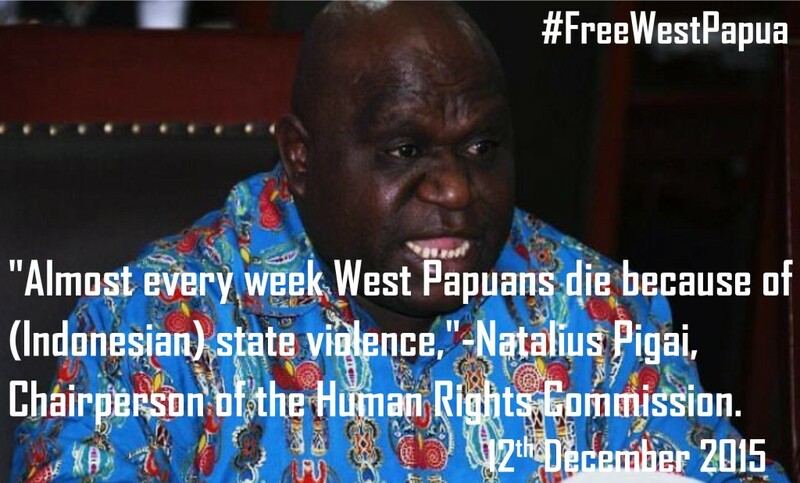 “Almost every week Papuans die because of state violence,” said Natalius. Solidarity with Victims of Human Rights Violations in Papua (SKP-HAM Papua) has also stated that the Indonesian President Joko Widodo’s term in office, has “increased the wounds of the Papuan people”. In an end of year statement, they released this table documenting the list of incidents they found where West Papuans who have been killed and attacked by the Indonesian Security Forces. All this is yet more evidence of the worsening human rights situation in occupied West Papua and the ongoing genocide which is it estimated has left over 500,000 West Papuan people dead. Every year, there are more human rights violations, more people killed just for peacefully expressing their desires for self-determination and freedom. Ever since West Papua was illegally occupied by Indonesia by the so called “Act of Free Choice”, West Papuans have endured the most severe human rights violations and even today have their basic rights, including the right to self-determination denied. The Free West Papua Campaign joins others around the world in calling for a Human Rights Fact Finding Mission to be sent to West Papua as agreed in the recent Pacific Islands Forum Leaders Meeting. We also join others including Archbishop Desmond Tutu in calling for a United Nation review into the so called “Act of Free Choice” which involved just over 1000 West Papuan “representatives” being hand picked and forced to vote for integration with Indonesia. Rest in Peace all those who were killed by the Indonesian security forces in West Papua this year. 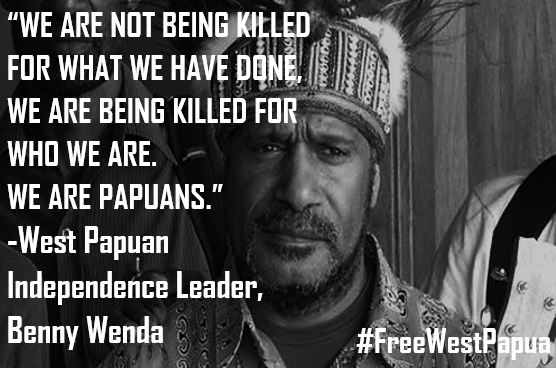 We will continue to Campaign until West Papua is finally free at last.